My new book is out with MIT Press ! Rather than asking how humans experience computers and networks, we need to ask how networks experience—what operations they perform to produce new forms of experience. Drawing on William James’s radical empiricism, we can understand networked experience through relations, which make up its most immediately sensed aspect. I critically consider a range of contemporary artistic and cultural practices that engage with network techniques, including databases and data mining, and the proliferation of viral media through YouTube. These practices are concerned with the relationality at the core of today’s network experience. Anna Munster is an artist, writer and educator and holds the position of associate professor at UNSW Art and Design, University of New South Wales, Australia. Anna has been collaborating artistically with Michele Barker for over 15 years. Her artistic background is in experimental sound and video but she has also created interactive works for CDROM and the web. 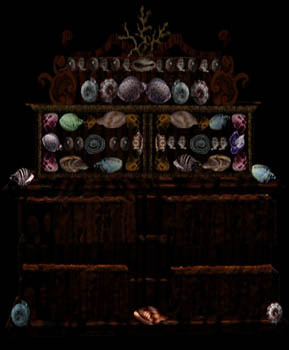 Earlier works in this area included Wunderkammer (exhibited Aller Anfang Austrian Museum of Ethnology, 2002 and Wundernet, 2001. Her conceptual artistic interests are in new ways of thinking and enacting perception – both human and nonhuman modes – and in the relation of perception to historical and contemporary media technologies. 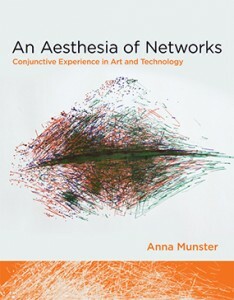 Anna has written the book Materializing New Media (Dartmouth College Press: Hanover, NH, 2006), which addresses the ways artists have innovatively developed embodied interfaces and relations to new media technologies. The book was awarded a ‘Highly commended’ in the Media Art Research award, Prix Ars Electronica, 2008.